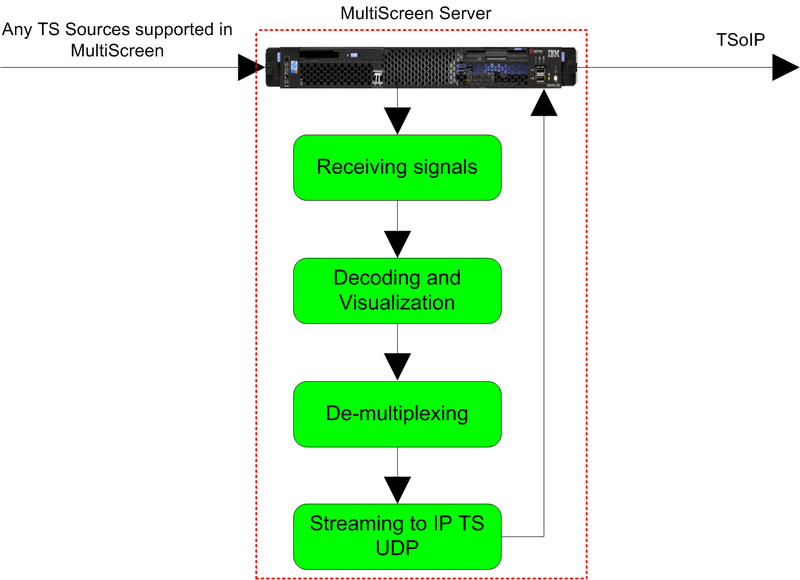 MultiScreen allows retransmitting of TS from any sources to IP TS UDP. 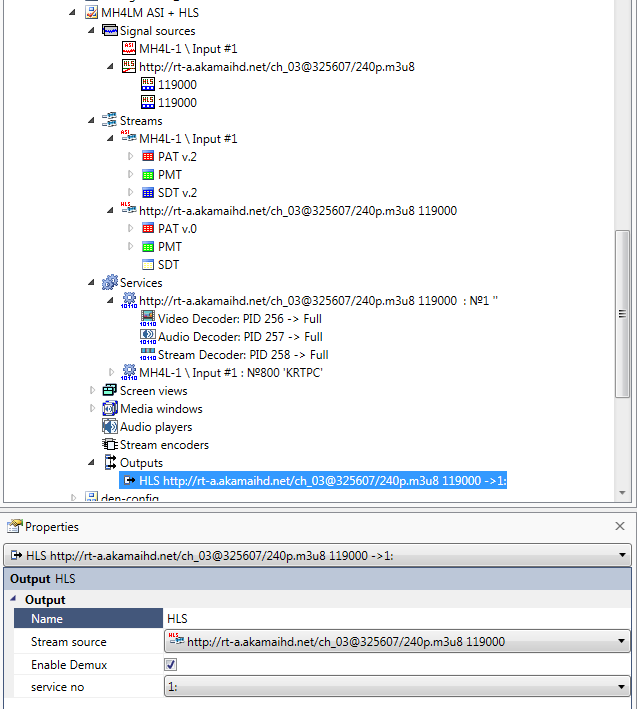 Simple retransmission of TS does not allow making any changes in original transport stream, so bitrate, tables, PID's, etc. stay intact. Supported de-multiplexor for production of SPTS channels.